The Senior Women’s squad provides a supportive and encouraging environment for women seeking to train regularly and compete at the highest level domestically, with the top end of the squad aiming for selection for the Home Countries Regatta, Commonwealth Regatta and the GB squad. In recent years the squad has achieved some outstanding results, including multiple wins at Henley Women’s Regatta, the National Championships, Home Countries Regatta and the Commonwealth Regatta. For further details of MAABC athletes selected for international representation please click here. Most members of the squad spend the winter months in sculling boats (singles or crew boats) to improve boat moving skills and to prepare the top of the squad for GB selection trials. However, if you have a strong background in sweep rowing but have not done much (or even any!) sculling please do not let this put you off joining this group – the coaches are very happy to welcome those new to sculling, and in our experience learning to scull can be very beneficial to your sweep rowing as well! As we approach the spring, most of the squad start to focus more on crew boats, either sweep or sculling, depending on where their strengths and ambitions lie. If you have ambitions to race in a single scull you will also be given the opportunity to do so. 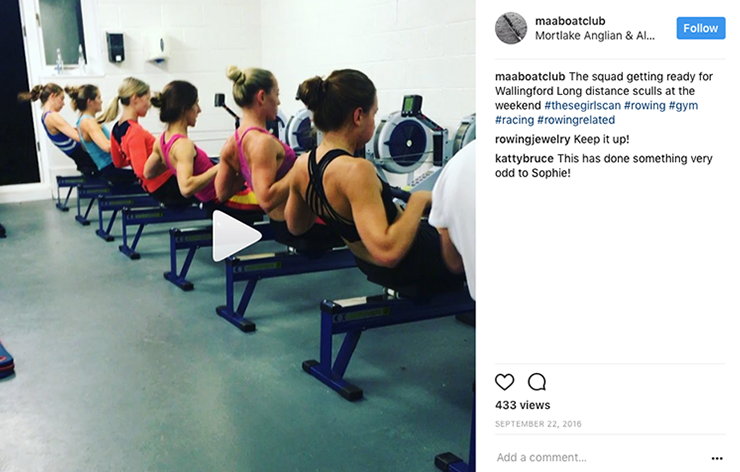 All of our coaches are very experienced at coaching both sweep rowing and sculling, and work very hard with every member of the squad to develop technique and boat moving skills, as well as strength and fitness in the gym. Being situated on the upper reach of the Tideway towards Chiswick and Richmond, we enjoy the best of the Tideway water, and an ideal environment in which to develop technical skills. Outings typically start at 7-7.30am at weekends, depending on the light, with double water sessions both days. During the week the squad follows a training programme which includes a mix of ergos, weights and water sessions, with regular coached weekday morning water sessions available to all. All members are encouraged to train together at the club whenever possible, but the coaches are also very understanding of the difficulties faced by those who not live or work nearby, and are happy for members to train at work gyms during the week if this is easier.